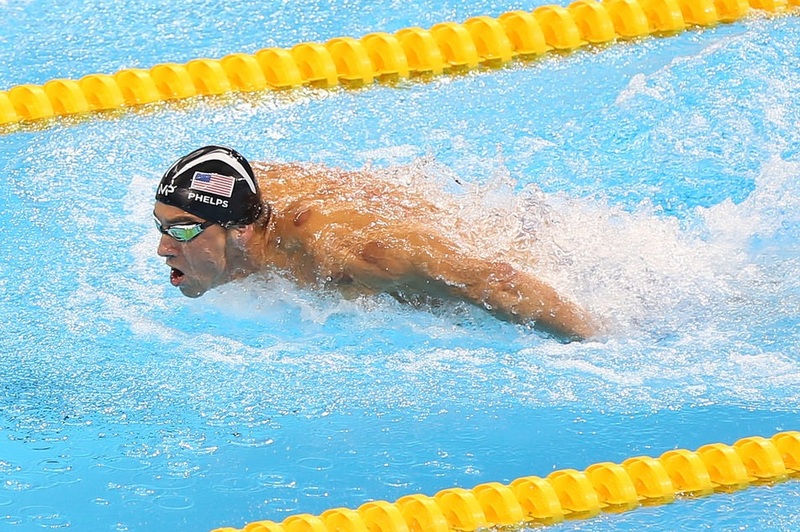 Athletes from Maryland – including Michael Phelps (Towson) and Katie Ledecky (Bethesda) – dominated at the 2016 Rio Olympics, bringing home 16 gold medals. Why did so many Olympic stars hail from Maryland? It might be because Maryland is one of the nation’s wealthiest states. And training for the Olympics is not cheap. “We do indeed need to question whether we are sending our best — or merely the best individuals with access to key resources,” said Adam Beissel, a lecturer in the University of Maryland’s kinesiology department, who focuses on the sociological, economic and cultural relationships within sports. A Capital News Service analysis of Olympic and income data found a correlation between the number of Olympic athletes from a given state and the state’s median income, as the chart below shows. We analyzed income data from 2000, because that’s the year that the average member of the U.S. Olympic team turned 10 years old, a critical age in the development of Olympic athletes. In 2000, Maryland had the third-highest median income in the country and, in 2016, had an above average number of Olympic athletes per capita. And, it turns out that a majority of Maryland’s athletes come from wealthier than average parts of the state. Of the 15 Rio Olympians who grew up in Maryland, nine were from hometowns with an above average median income, as this chart shows. Training for the Olympics is expensive. So how to explain the six athletes from hometowns with median incomes below Maryland’s? Consider Joe Morris, a sailor from Annapolis. The median income for whites in Annapolis—like Joe Morris, who told CNS he identifies as Caucasian—was $75,000, as the red bar in the chart below shows, well above the state figure. But it was $31,000 for African-Americans (yellow bar), a huge disparity that lowered the city’s median income (black bar) significantly. Three of the athletes on this list – Kevin Durant (Suitland), Carmelo Anthony (Baltimore) and Angel McCoughtry (Baltimore) – play basketball. It’s safe to say that basketball is qualitatively different from other Olympic sports, in that making the team is less dependent on skills acquired through costly Olympic training and more dependent on professional success. *We found a correlation coefficient of .55, indicating a moderately strong connection between median income and athletes per capita. For this graphic, we used the home state reported by the athletes to Team USA from the Olympic roster. **This graphic lists 15 athletes as having hometowns in Maryland, while the per capita figure in the first graphic on this page was calculated from the 11 athletes on Team USA’s Olympic roster who listed Maryland as their home state. Why the difference? We independently confirmed that four additional athletes — Carmelo Anthony, Matthew Centrowitz, Kevin Durant and Gary Russell — grew up in Maryland. In order to keep a consistent standard for analysis when comparing between states, we left the number of Maryland athletes at 11 in the first graphic. The income figures do not represent the incomes of the athletes’ families, but the median income of the hometown where they grew up.